The Crain 8 Foot CR Series Grade Rod is a rectangular shaped rod made from non-conductive fiberglass. It has rounded back corners that are designed for better gripping and handling. This leveling rod is composed of 2 adjustable sections that expand up to 8 feet and collapse to 52 inches. These sections are tightly held in place with unbreakable locking buttons. The rectangular shape of this grade rod allows laser detectors to be mounted directly without the use of a bracket. 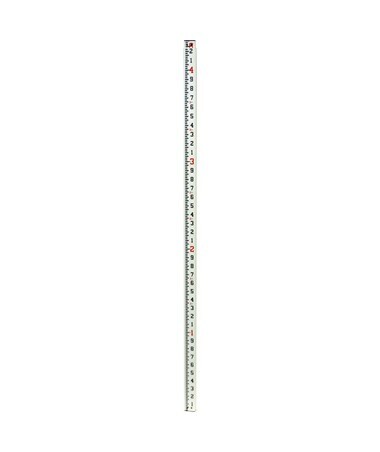 This construction rod displays clearly defined, glare-resistant measurements in feet/tenths. The scale width is graduated to fill the entire face of the grade rod, which makes it easier to read in the field. 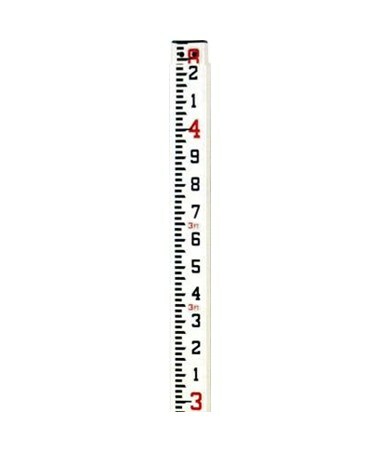 With a special measuring scale on the back, users can read height at eye level. Special molded ribs also protect the scales from unwanted wear. This leveling rod achieves measuring precision and offers endurance as it is water-resistant and corrosion-resistant. A 1-year warranty is included.